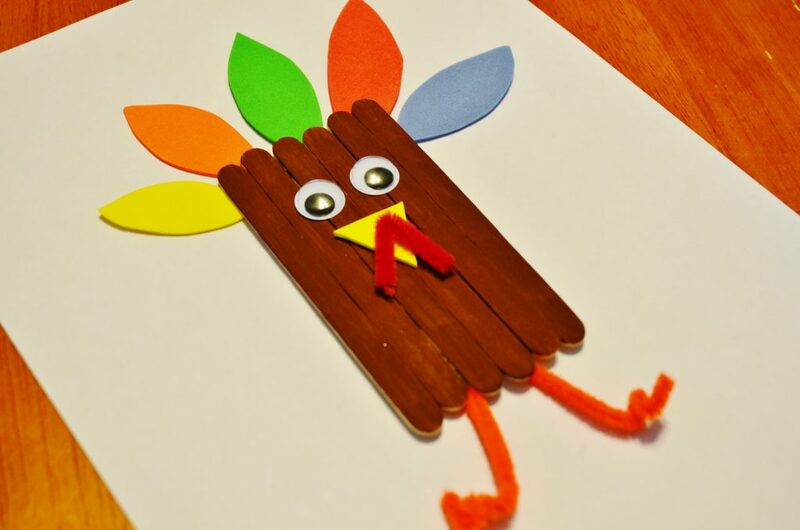 If you loved our Gobble Gobble Thanksgiving Turkey Craft for Kids check out this new turkey craft we came up with, also using craft sticks! It was SO easy and you can easily pre-make the turkey body especially if you are working with younger kids! Just lay 6 craft sticks next to each other and spread tacky glue on the back side filling in the cracks and let dry. You can also glue a popsicle stick across the back for extra strength. Then paint the topside all brown to make the turkey body. I decided to glue our turkey directly onto paper since it was easier! Start by grabbing colorful feathers or “feathers” cut out of foam, felt, paper, or colored craft sticks and glue them on to your paper. Glue on the brown turkey craft stick body. 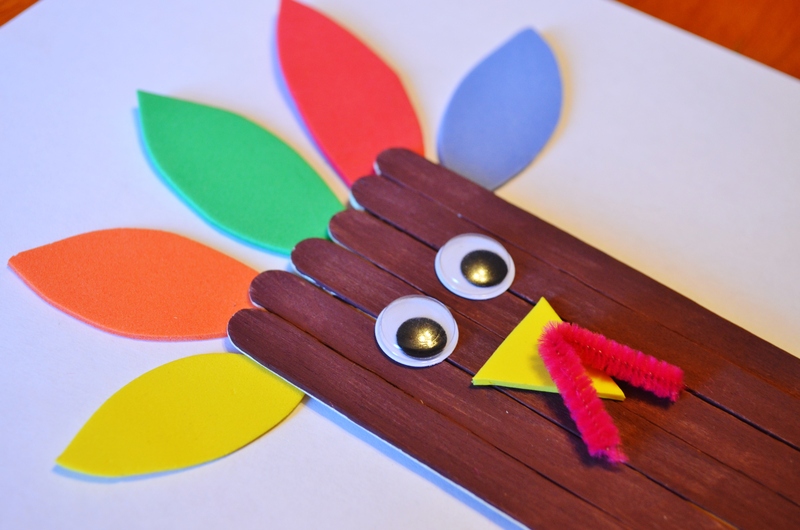 Add eyes, a yellow triangle nose, and a short “V” of a red pipe cleaner for the gobble. Then glue on orange pipe cleaner turkey feet! I folded the bottom of the “feet” to make it look like little claws! This is such a fun project for kids of all ages and you can turn it into a Thanksgiving Day card, pair it up with a book like 10 Fat Turkeys, or just hang it up on the paper you glued it on to!